A study sponsored by Forbes, Yet Rated the 100 Best Workplaces in United States, as recommended by its employees. They interviewed more than 20.000 employees of large companies and asked them if they would recommend a different company where they work, by measuring on a scale of 0 a 10. In many of these chain restaurants, employees said they would recommend their company to work with your friends, mainly because of the numerous benefits, not only economic, but also other, which means belonging to these companies, specific, They highlighted the health coverage, the ability to access promotions and discounts on other shops, payment of enrollment in studies, obtaining extra days off to rest, study or prepare for exams, but what is striking, is that some of them, They used the word family to express their relationship with the company and with peers . 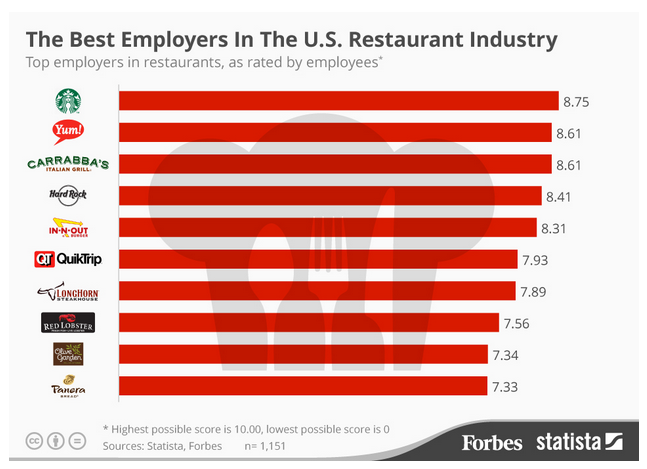 we must not forget, that this industry represents more than 2% of GDP and hires almost 11 million employees, making it a vital economic engine and employability for the country's development, in fact, uno de cada tres americanos reconoce que su primer trabajo fue en un restaurante. 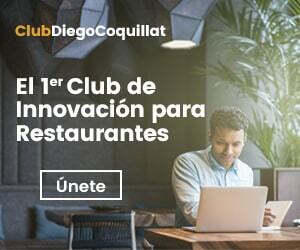 Undoubtedly, One of the big problems we encountered in the hospitality industry, is the enormous employee turnover there, although it is no less true, this circumstance has decreased dramatically in recent years, por el miedo a cambiar de trabajo que ha provocado la crisis. All data presage we face a new cycle in the global restaurant industry, where the quality of employment should be a determining factor for productivity and sustainability of the sector, and perhaps the time has come, not only worry about the comments and recommendations of our customers move to the main internet portals opinion, but also, valorar como un activo necesario la opinión de nuestros empleados sobre la empresa. To end, I leave this video, where you might find the keys to why Starbucks employees recommend your company to work for others.